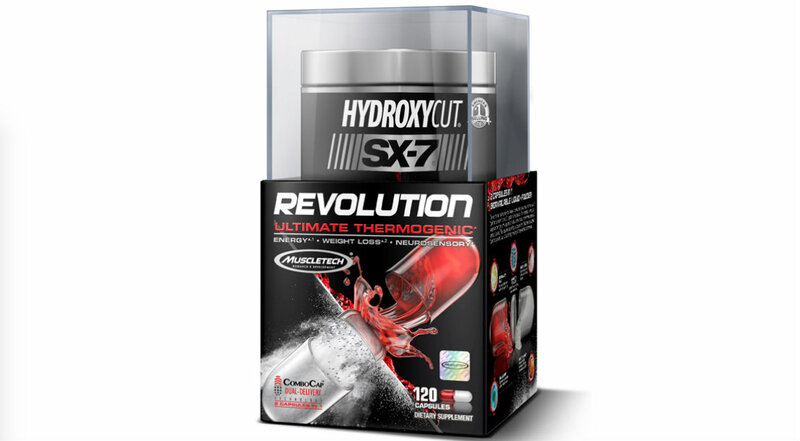 Hydroxycut's advanced fat-loss supplement is what serious lifters want to shed extra weight and get ripped. The difference between looking pretty good and looking like you’ve been carved from stone like Michelangelo’s David, but with bigger pecs, is consistency. You need to consistently train with the proper intensity, note how you fuel up and recover, and understand which supps provide the best bang for your buck. Stick to that routine and you’ll be in head-turning shape year-round. When it comes to supps, this all hinges on consuming ingredients that have been proven to work. For example, caffeine anhydrous and yohimbe extract should be the base of any solid thermogenic, as these kick-start your metabolism and help you use fat for fuel more efficiently. Secondly, ensure that whatever you take is backed by clinical studies. Supplements that are promoted as the holy grail of fat loss are usually wholly underdosed and ineffective. two formulas are separated by a membrane, which ensures that the integrity of the active ingredients isn’t compromised. Some guys would shrug that little detail off, but the details are what separate the lean from the shredded. Research in Sports Medicine had 10 professional soccer players consume 20 milligrams of yohimbe and another 10 a placebo. While there were no changes in athletic performance or muscle mass, the yohimbe group experienced a significant drop in both body-fat percentage and fat mass compared with the control group.